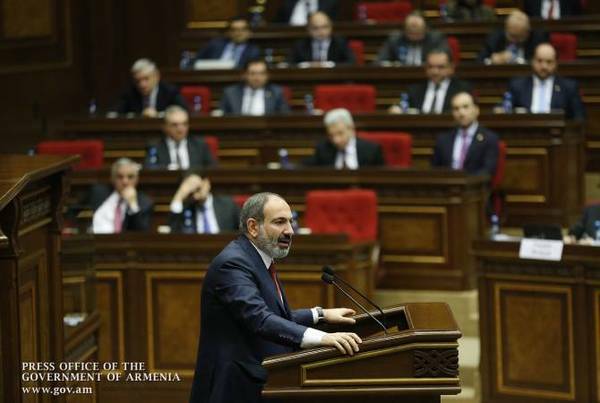 Fight against corruption is of key importance for the Government of Armenia and Nikol Pashinyan considers it as one of the most important achievements of the Government, Nikol Pashinyan talked about this during the presentation of the Government’s Action Plan at the parliament. “In fact, systematic corruption in Armenia is brought to its knees, but fight against corruption and anti-corruption policy need some institutional foundations. And I think one of the key points of the Government’s Action Plan in terms of fight against corruption is the following – we have to strengthen all the levers by which the citizens of the Republic of Armenia should have the opportunity to oversee the property and possession of not only the state officials of Armenia, but also of those with great opportunities to assume state offices”, ARMENPRESS reports Pashinyan as saying.